Post in partnership with Muir Glen Organic. See below for more details. I love breakfast, but sometimes I get stuck in ruts. Breakfast is a low key event and my family is okay with that. As a result, we make oatmeal every weekday and most weekend mornings. When oatmeal won’t do the trick, it’s scrambled eggs and toast. But sometimes, I get an itch to break out and make something completely different. This enchilada skillet is a riff off shakshuka and this curried tomato egg recipe. The sauce is an enchilada sauce that I quickly throw together. And there aren’t many ingredients beyond that. I also like to make an extra batch of the sauce so I can have enchiladas for dinner later in the week. Read more and see the recipe. 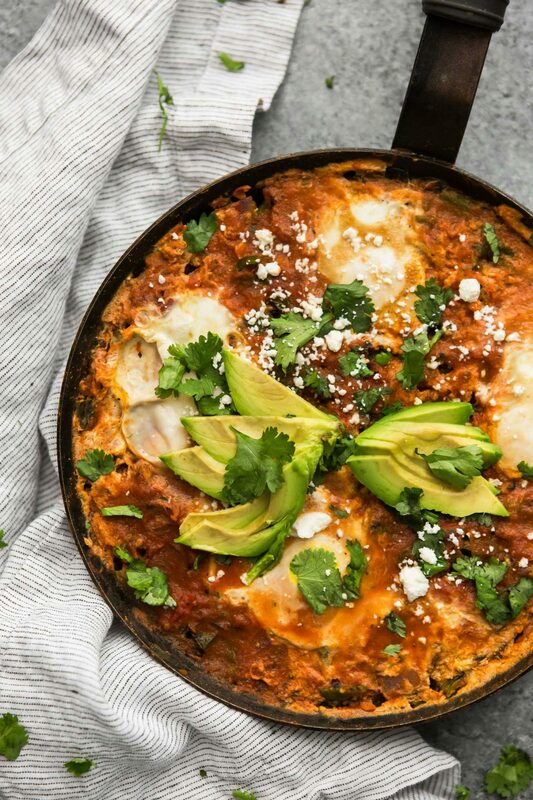 The post Enchilada Skillet with Eggs appeared first on Naturally Ella.